We are proud to have recently built a beautiful new home for the Oakey family, who were severely impacted by the devastating Pinery bushfires. Located in the area of Templars, just north of Adelaide, the Oakeys enjoyed a beautiful block where they lived in their family home. In November 2015, the Pinery bushfire struck, destroying over 380 farming buildings and 91 homes, including the Oakey residence. Mrs. Lorraine Oakey told us about their terrifying experience. 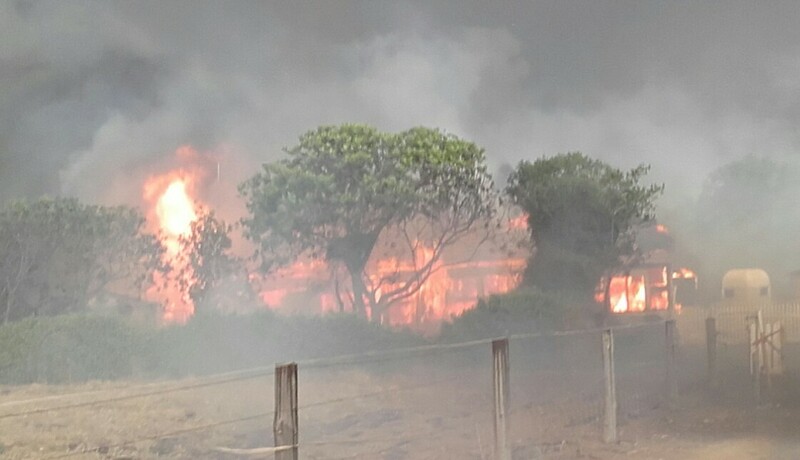 Since the devastating fires, the Oakeys have had to stay at their block to look after their animals and keep their property secure. They’ve been living in their shed, which they’ve managed to turn into a cosy cottage. But now it’s the luxury of space that they are looking forward to in their new home. Mrs. Oakey has been astounded and humbled by the generosity and compassion they’ve experienced since the fires. 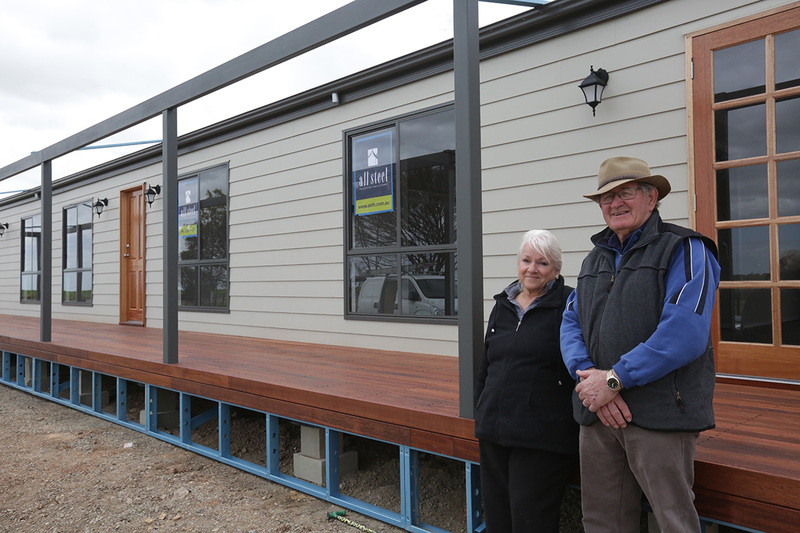 Their son James also lost his home and is now moving in with them into their new Allsteel home. Husband Mr. Jim Oakey has been impressed with the Allsteel team. Mrs. Oakey can’t wait to move into their new home. We are thrilled to be able to bring some joy back into their lives and help them have a fresh start for the future. We wish them all the best and we hope they enjoy many happy years in their beautiful new home. Copyright 2019 Asth.com.au. All rights reserved. Builder's Licence Number: SA G10238 / NT 189937CU. a division of Weeks Building Group. Your enquiry has been forwarded to our friendly staff and we'll be in touch shortly.